This weekend I did something that I thought I never could. I stayed away from my laptop and did not bother to do anything related to work. I did not check my mails, Facebook or Twitter. I relaxed a lot and baked to my hearts content. I stayed active on Instagram though, putting up pictures of the things around me. I love Instagram because it is a no nonsense social media. Just pictures and nothing else. I love posting random pictures there and that was the only place that I was available this weekend. Cal and I have never been home bodies, but ever since we moved out to a place of our own, we love to sit and relax at home. It had been four days since I had written a blog post, but a part of me did not care. Another part of me was itching to login for a few minutes and write something, but the former took over and I let it be. It is after such a long time that I have given such a long break between my blog posts. And you know what? This time I enjoyed it. It is important to switch off technology and everything else in your life at times. It helps you de-clutter and focus better. I did not want to do anything this weekend. We just stayed in and relaxed. The heavy downpour only added to the already lazy feeling. I know I have already said this a million times before, but my house gives me immense peace of mind. Earlier it was chaos, chaos and only chaos. But here it is so peaceful and relaxing that Cal and I can just sit and talk endlessly. For hours and hours. Since most of Cal's work is on social media, he is bored of it too. This weekend we made some apple crumble and peanut butter cookies and watched Eat Street on Fox Life endlessly. It was one of the most beautiful experiences ever. We had tickets booked for a stand up comedy show that was on the other side of the city. We tried booking a cab, but thanks to the downpour nothing was available. Just when we thought that we would have to let it go, we thought why not take a long ride instead. So we put on our raincoats and set off on our bike. It was one hell of a romantic ride. That is why I like bikes over cars. I find bike rides extremely romantic as you can hug the person in front of you tight and enjoy the chill and the rain. Or maybe, it is just me. Bangalore goes crazy when it rains. The traffic piles up and we were stuck in more than two jams. It was well past the showtime when we reached, but look at our luck, the show had not yet started. We collected our tickets, found our seats and then began one hell of a night. Cal and I love theatre and shows. We had enjoyed the last stand up comedy that we had attended a few months ago. This one was touted to be a laugh riot. With Aditi Mittal from AIB, KK from Evam, Ashwin Rao, Sourabh Pant and S. Arvind, this was such a wonderful show. We laughed until our stomachs hurt and were so glad that we decided to come in after all. Inspite of the rain. We had some yummy dinner and dessert and headed back home. The rain had stopped but there was this chill in the air. It was a pleasant and uber romantic ride. It was past midnight when we got home, but it sure had been a wonderful weekend to say the least. I have never stayed away from writing for such a long time. Last week I was really busy at work, so I could not write on Thursday or Friday. I did feel guilty at first, but then I realized that almost every other blogger has slowed down their writing pace this month. I was first worried that I was not getting enough comments and views on my posts, but then I realized that most of the bloggers were away and had not updated their blogs even. I guess everyone wanted a break from writing after the hectic A to Z of April. And so I decided to follow suit. Stories and rhyming words kept teasing me, but I did not cave in. This time switched off meant off. And it was one of the best decisions ever. It gave me time to introspect and more new topics to write about. And staying away from everything taught me the most important thing about life. Life is so much fun with simple things. A comedy show, a home cooked meal, a cricket match, freshly made popcorn by the husband, and a long conversation; these are enough to guarantee a lifetime of happiness. Cal and I cooked and baked together, tended to our little balcony garden, cleaned together and relaxed together. It was slow, it was peaceful. It was lazy, it was soothing. It was me, it was him. It was joy, it was love. I definitely will be switching off from the world more often now. And this time from everywhere. I want to go into hiding with my man and not bother about anything at all. And I'm sure I shall not be missing anything much. Because we all know it. Life is more beautiful offline. Oh yes! It is great to take a break from virtual life and enjoy the pace of real life. Of course there are anxiety pangs of FOMO (Fear of Missing Out) moments, initially. But once you ignore them, you actually love life without the gadgets. Glad that you did it and had a great time too! I was on a similar guilt trip of not writing but I enjoyed I time off. I too love instagram :D It's great to take break and then join again all refreshed. Yuss! I've got this weird habit of just switching off my phone whenever I feel like it. My recent blog post talks about how I got deaddicted to WhatsApp.. Taking a break from internet is fun. When we went to Maldives we were off the internet and our phones dint work. It was one of the best part of our holiday. We enjoyed every minute without any disturbance. I want to do something like this again. I haven't had the guts to deactivate my account. I just don't check it at the max. I agree. 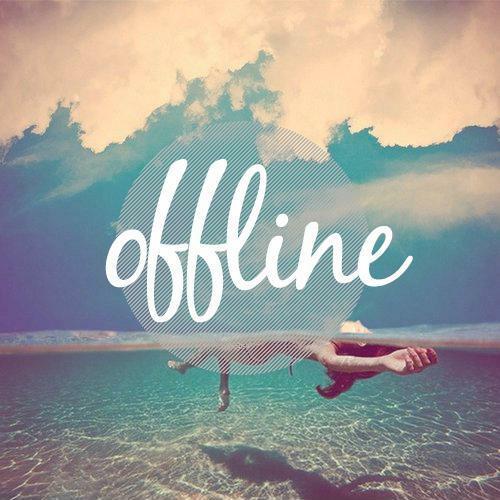 Offline is much more fun. Reminds me that I have to do so too. Thank you :) And a break from A to Z is a must. After all, we wrote religiously for an entire month. No small feat! Seriously. We deserved the break infact. I'm not Instagram yet...should I...should I not? 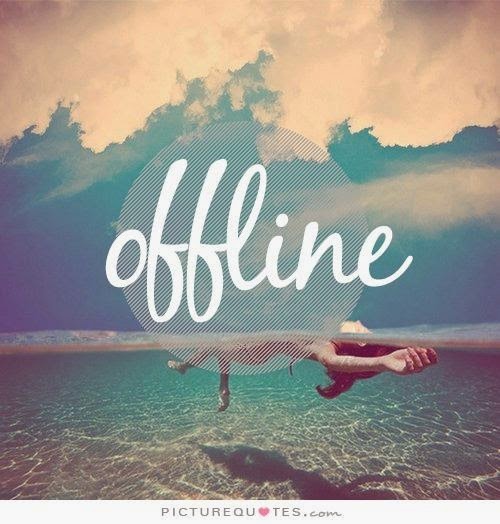 Sometimes its so relaxing to just switch off...technology eats up so much into our me time. Seriously. Switching off has become a must for me.